1. Easy for retailers to set up. 2. Sturdy enough to display various items, computer or phone accessories, cosmetic, fast food, lamp, scissor etc. SUPPORT HIGH LOAD, around 10lbs per tier. 3. Warmth in the appearance than the material of steel or wood, 100% recycled. 4. Print the product details clearly, fresh creative. 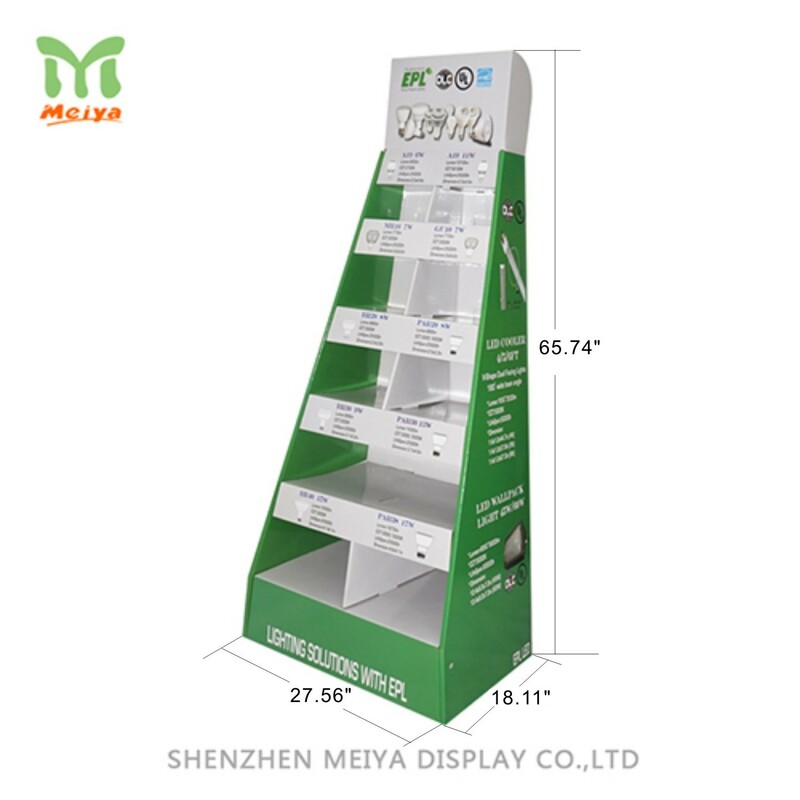 These tall cardboard displays with ladder shaped are perfect to showcase the new items so that boost the sales at the last minute. The POP displays can be finished with different method, such as UV-cotating, PP lamination, varnishing etc. The material of corrugate cardboard are warmth in appearance, that specially designed to the various items displayed in the compartments.